In yesterday's post I advanced the news published in El Periódico de Catalunya about the criminal acts against Barcelona's cultural heritage. 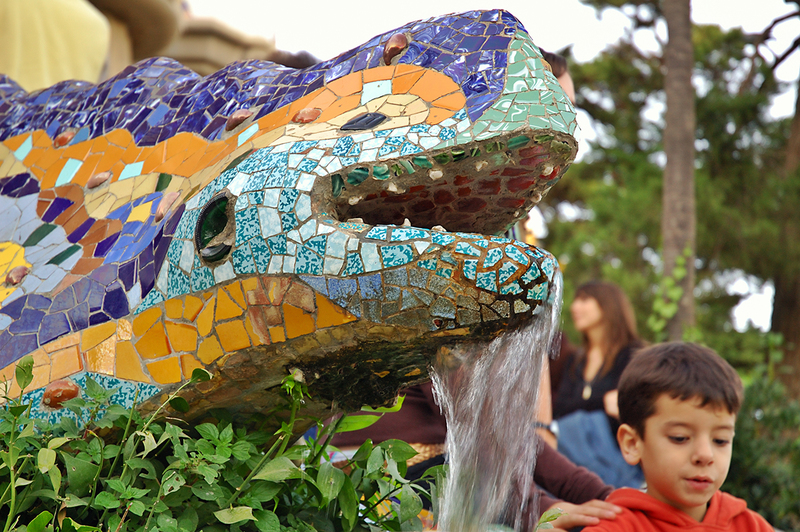 I am talking about the important damage inflicted on one of the main symbols of Gaudi's legacy: The Lizard or Dragon fountain in Park Güell. 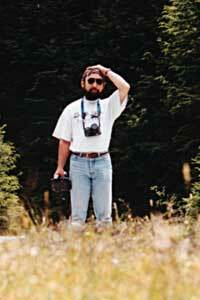 There are larger pictures in this article via 20Minutos newspaper to compare with this snapshot from my archives. What are we going to show our kids? What goes wrong with society to breed such monsters? Do you think hitting with an iron bar on a beautiful thing is human?. This is not a mere incident, this is a consequence of our own mistakes. Shall we burn that hooligan in hell or shall we teach this kid before it is too late? Maybe you are right or maybe he will hit him too. I think society lost this animal a long time ago, so we'd better deal with the new ones. Thanks for the quick comment Dsole. Shame on those people! what's the point of doing this??? -I don't know Marjorie, just blame it on a destroyed family, design drugs and cheap alcohol. Wow. That's just incredible. I can't believe it. Not only is it sad that someone would do it, but it's sad that these things are probably now going to have to be covered up with fencing or whatever to prevent it from happening again. This saddens me. It was not only an attack on Gaudi's beautiful art and the residents of Barcelona, but on all those who have had the pleasure of enjoying this in the past and, those who will see it differently in the future. The perpetrators of this offence know not what they do. Perhaps some day they will understand. Such a beautiful piece of art, I hope it can be fixed. Hey Carlos, I'd like to join your Absolut contest. How do I do that exactly? Your pictures have incredible picture. Keep it up.